It’s easy to go through this fast-paced world feeling as if you are being dragged through your days roped to a wild horse. We from one thing to another until we end up back home in the evening with just enough time to wind down and go to sleep, waking up the next morning to begin the wild ride once again. While this can be exhilarating for certain periods of time, a life lived entirely in this fashion can be exhausting, and more important, it places us in the passenger’s seat when really we are the ones who should be driving. When we get caught up in our packed schedules and obligations, weeks can go by without us taking time to look at the bigger picture of our lives and we run the risk of going through our precious days on this runaway train. Taking time to view the bigger picture, asking ourselves if we are happy with the course we are on and making adjustments, puts us back in the driver’s seat where we belong. When we take responsibility for charting our own course in life, we may well go in an entirely different direction from the one supposedly preordained for us. This can be uncomfortable in the short-term, but in the long-term it is much worse to imagine living this precious life without ever taking back the wheel. 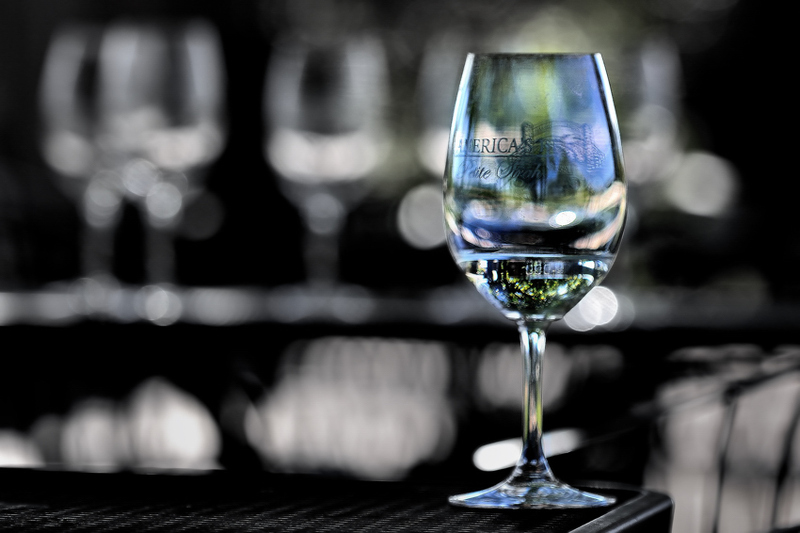 This was shot at Bernardo Wineries in San Diego, California. This Winery has a tasty selection of Boutique vintages as well as a scrumptuous variety of rusty machines, farm implements and other eye candy for the willing photographer. This is also a great place to shoot Engagement or even Trash the Dress post Wedding pictures. 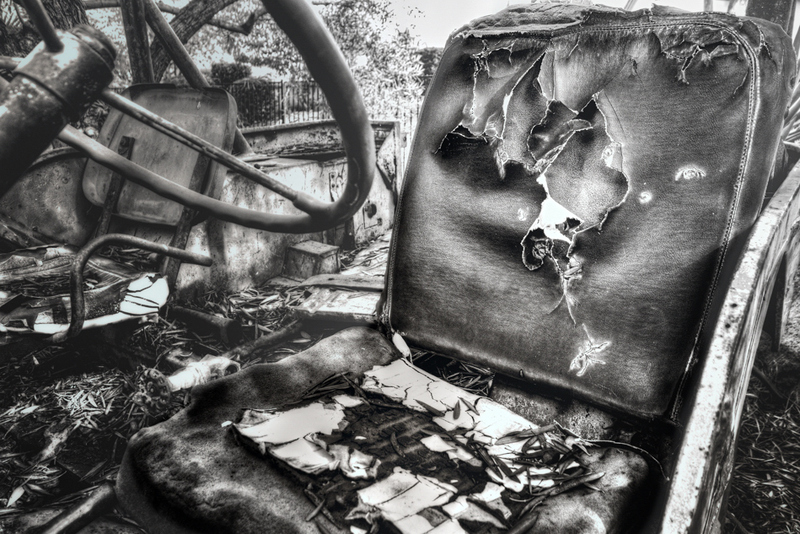 Always check with the owners before showing up with your Cast and Crew – they are very helpful and accommodating! Erik & I used to watch a show on TV called “Trading Spaces” and there was a designer that I was OBSESSED with! His name was Doug Wilson, and no matter what he did to me it was the perfect design. One of which I copied in our Master bedroom and to this date I really think my husband hates it! Anyway, Doug designed a bedroom in a B&B in Napa and I seriously could not get there fast enough to sleep in this room. It was at the Old World Inn, the room was fabulous, though very small and the other people that stayed there were quite entertaining as well. We met one couple from Chicago that the guy was a Zin fanatic. Every single day he went in search of the perfect Zin at the wineries and I thought he was nuts! But, needless to say, this “White Wine” only girl ended up tasting a very nice Zin at Ledsen Winery and I was sold immediately. We had purchased a used 500SL Mercedes a couple of months before the trip and we drove it all the way up the Coast from San Diego to Napa and back- top down, wind in our hair and never even thought about the fact that any wine we purchased would need to be packed in that small car along with our suitcases. It was quite funny because the first day we were “shopping on an empty stomach” and purchased a total of 2 cases of wine combined from several vineyards and then of course you have the 2 free tasting glasses that go with each tasting- it was not until we had to pack our suitcases back in the car that we realized our issue- but we are a team and we made it work and on the way out of town when we stopped at our last winery- we were smart enough to ship home!! 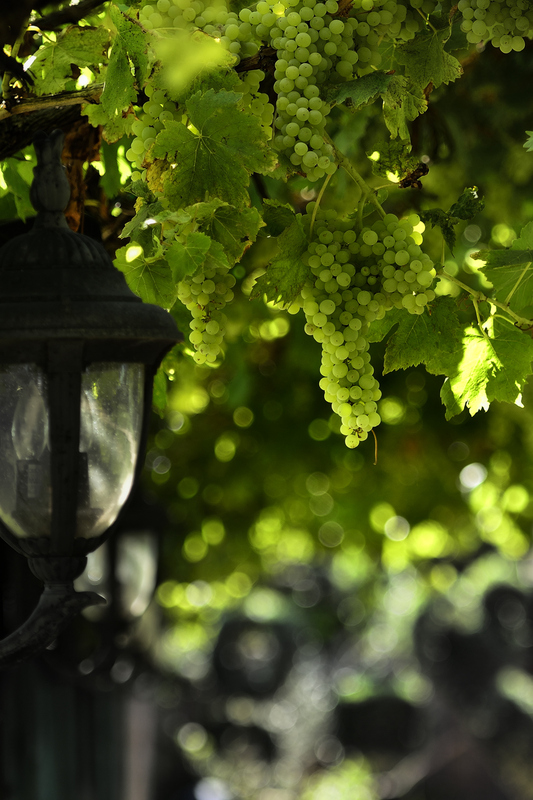 I was on a mission to get the perfect “grape” shot- so I made it home with over 500 images of grape after grape after grape- these are my favorites. After covering the Good Guys 2011 Western Nationals Rod and Custom Show in Pleasanton, California (Hot Rods), we has a chance to explore the region. We were surprised by the number of local Wineries in the Region. We spent a wonderful afternoon exploring and tasting – what a great end to a fantastic weekend of Photographic Fun. 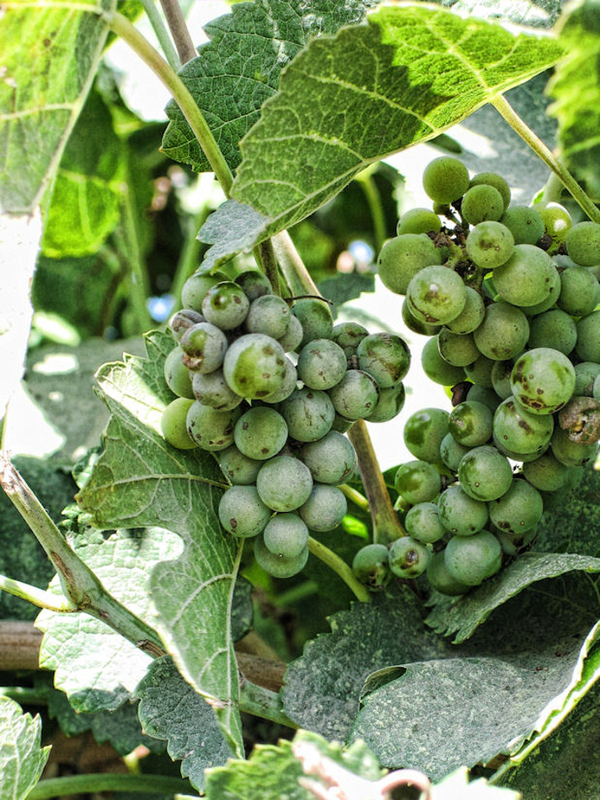 We also snuck into he vineyards for some Grape shots – it is almost ready for “The Crush” as you can tell by these plump beauties! 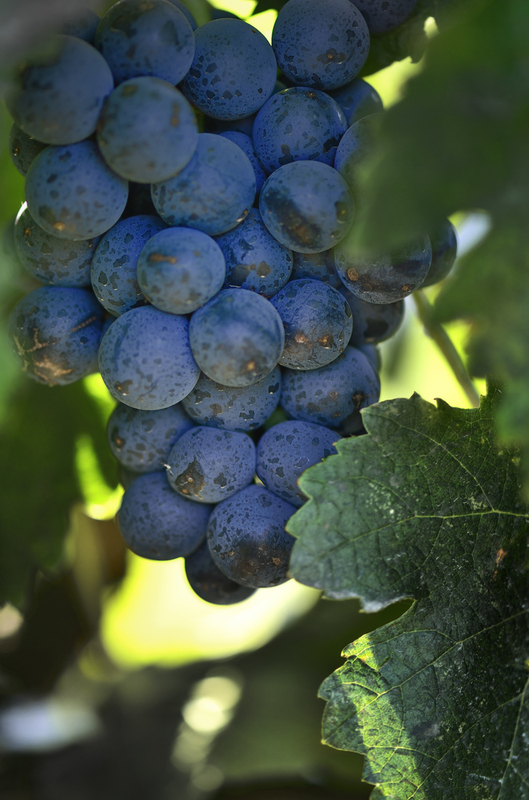 Harvest is the picking of the grapes and in many ways the first step in wine production. 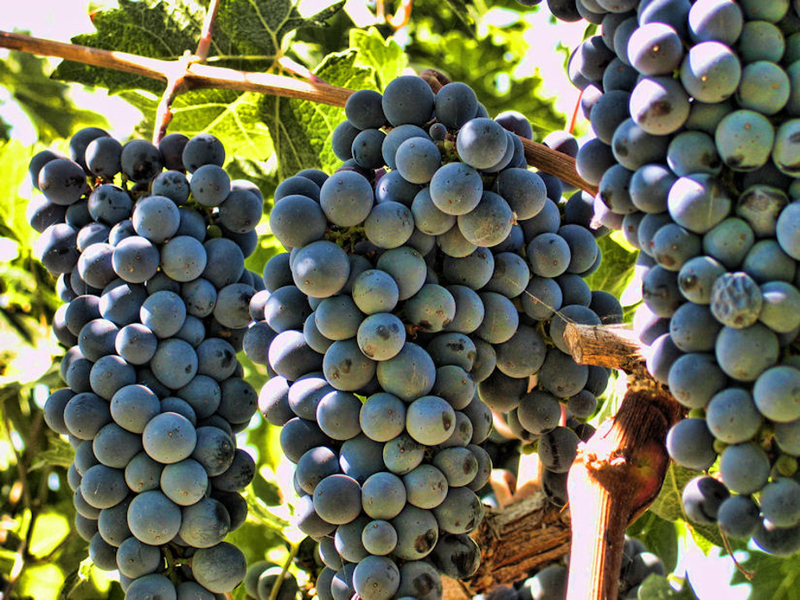 Grapes are either harvested mechanically or by hand. 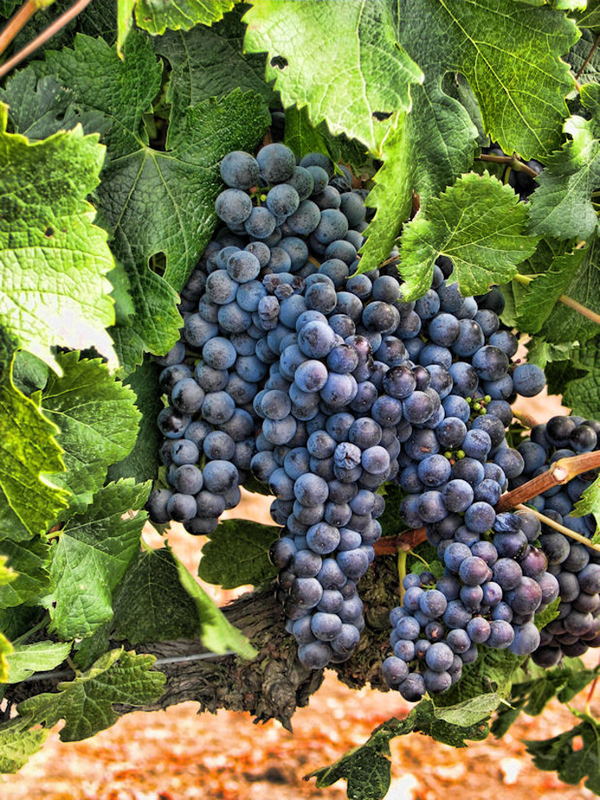 The decision to harvest grapes is typically made by the winemaker and informed by the level of sugar (called Brix), acid (TA or Titratable Acidity as expressed by Tartaric acid equivalents) and pH of the grapes. Other considerations include phrenological ripeness, berry flavor, tannin development (seed color and taste). Overall disposition of the grapevine and weather forecasts are taken into account. Crushing is the process when gently squeezing the berries and breaking the skins to start to liberate the contents of the berries. Destemming is the process of removing the grapes from the rachis (the stem which holds the grapes). 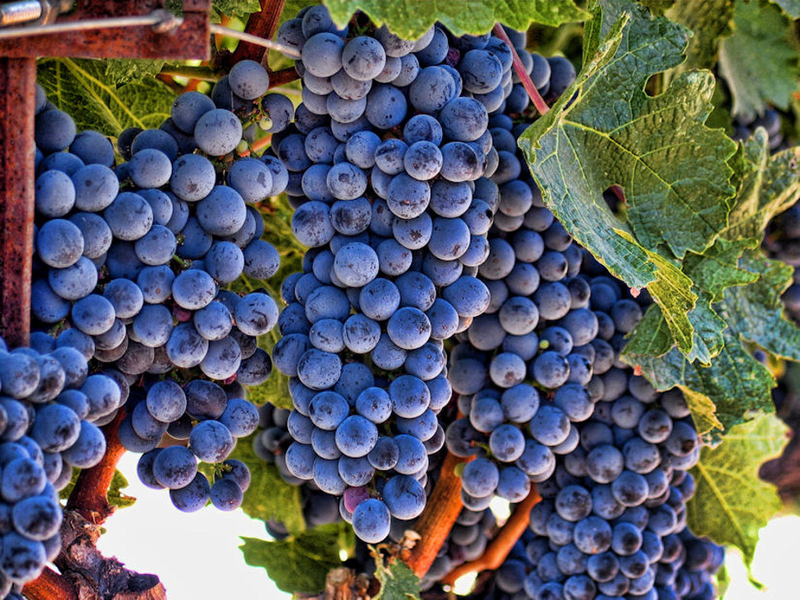 In traditional and smaller-scale wine making, the harvested grapes are sometimes crushed by trampling them barefoot or by the use of inexpensive small-scale crushers. 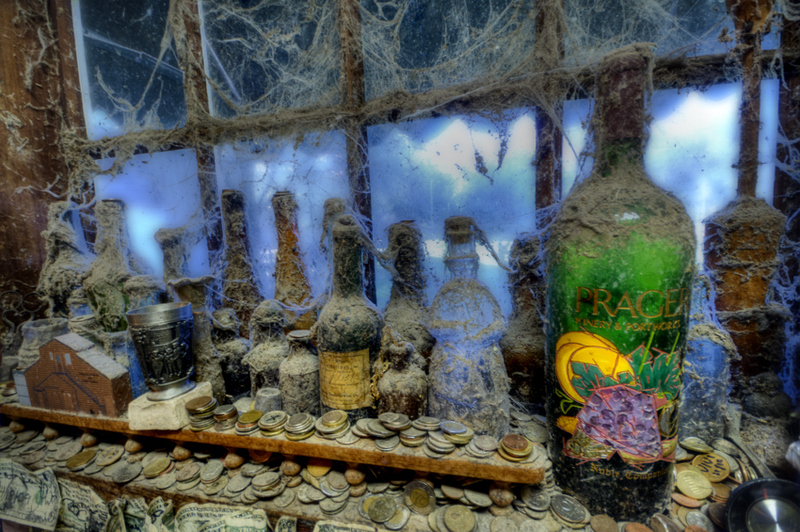 This was shot inside the Sales Room at Prager Winery in Napa, California. Prager makes the most exquisite Ports. When we are in the neighbourhood, we always stop for a tasting and the eventual buy ! You may recall a previous post taken of their window – the Owner said it was the best picture ever taken of his Spider Web Window…how flattering! The show room is covered with accolades from visitors, prize ribbons from competitions, and dollars bills with personal notes from the admiring Public! For over thirty years, the Prager family has been producing some of the best port wine we’ve ever tasted . The house is located on the main drag in the heart of California’s “wine country,” but you may have trouble finding it in the midst of so many giant tourist traps. The grounds are picturesque but unassuming – this place is small and proud of it. Others have called it a hipster winery or a hippie winery, but I think those monikers are fine. It’s the antithesis of most places in the area, so call it what you will. The “tasting room” is actually a house (or barn? ); you enter through a narrow hallway and proceed into a small kitchen and living area. The server on duty works at the kitchen sink and counter (cute). 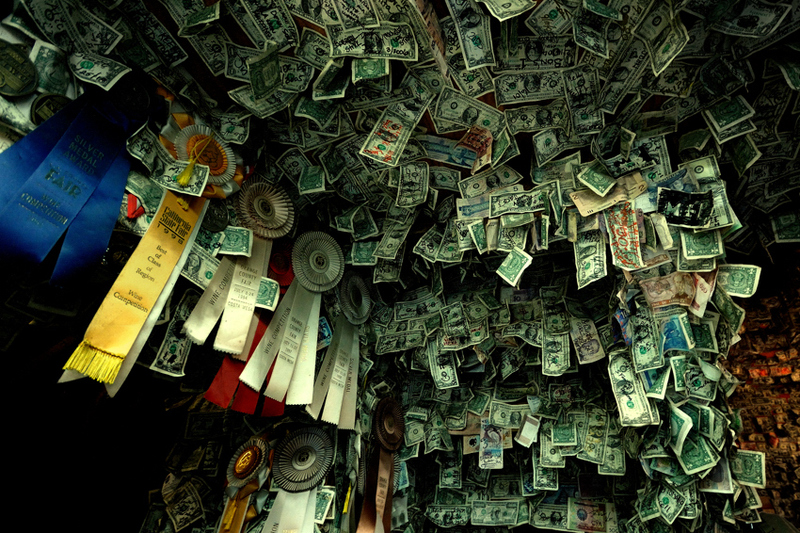 However, the tasting room is especially famous for its walls – they’re covered in money. Real greenbacks. Usually autographed by patrons and visitors of the winery. It’s one of the most unique rooms we’ve ever seen… it has to be seen to be believed!